Founder and CEO of The Noodle Companies, LLC. Please join us for Family Office Insights luncheon for The Noodle Companies on Wednesday, October 25th, at 12PM. If you care to join us, please email admin@familyofficeinsights.com. Family Office Insights sits down with John Katzman, Founder and CEO of The Noodle Companies, to discuss how they are better connecting learners, educators and providers of educational resources with new programs, technologies, philosophies and learning opportunities. Tell us about your background and your company, The Noodle Companies. When I was a college student at Princeton, I tutored students for the SAT. On graduating, I founded The Princeton Review as a short-term project that would help me fund a software startup. Things took off and I ended up building two education organizations that ended up going public with a combined market cap of $3 billion. By the time I left, The Review helped over 50% of students applying to US colleges and universities each year find, get into, and pay for school. And my next company, 2U, partners with top colleges and universities to bring their degree programs and credit-bearing courses online. Having taken the first company public, I decided to leave 2U when the Board decided to take it public, and start the Noodle Companies. Who are The Noodle Companies’ target audience? Noodle Education is ideal for anyone looking for any form of schooling from preschool to graduate school, a French tutor or business seminars. Currently, Noodle.com offers users data on colleges and universities for undergraduate and graduate programs. Right now, we are actively testing a new product focused on students seeking graduate school programs (Education, Nursing & Social Work). Ultimately, we want to help everyone find the next thing they want to learn. Noodle Partners’ targets institutions of higher learning that want to expand their on-ground graduate offerings online. Our customers are looking for a lower cost solution with higher quality outcomes and experiences. They want more transparency and control over the marketing, instructional design and growth of their programs than traditional OPMs (Online Program Managers) typically allow. What’s more, our customers choose us because they can, through our model, retain a higher level of the surplus created by their program. Noodle Pros’ has three target audiences: 1) Affluent, metropolitan parents of students aged 3-22; 2) Driven, ambitious students aged 22-30; and 3) Experienced, professional tutors looking to be part of a tutor-friendly agency. On the client side, any student facing a high stakes education transition, e.g. going from high school to college, will need to prep for a major standardized test, and have an excellent academic record. Parents who are investing in their children’s educations, and busy students looking for a tutoring solution that can optimize their time and resources to deliver the best results, deserve professional tutors who have made this a career, not a recent college graduate who was trained last week. Our Pros have seen practically every type of learner and test-taker, so we know how turn our students’ fear and uncertainty into confidence and success. We go beyond content to teach study skills, executive functioning strategies, and test-day readiness. We understand the pressures of school and tests, and we can solve any academic challenge because we’ve seen every academic challenge. On the tutor side, we continue to build our business around incentivizing professional, entrepreneurial, outcome-driven tutors to join us, by providing them with high-end clients, quality customer services, and marketing and operations support. The Noodle Market’s target audience involves those at every step of the K-12 procurement process. Our audience is two-pronged: vendors and educators. We are changing the way schools and markets buy, offer, and distribute products and services. The K-12 vendor audience is about 15,000 companies, so our marketplace alleviates all the issues that arise in a crowded market by helping unknown products and brands find an audience. We help educators making better purchasing decisions. We use technology and innovation to speed up the communication and purchasing process as well. Noodle Markets allows vendors to register on our site to open themselves up to the buyer-seller platform. We have a function that allows schools to post requests and where vendors can interact and propose their products to them. When a district shows interest for products, the vendors are notified to answer any questions, offer competitive rates, and complete transactions. Educators are able to search for and purchase education products and services. Noodle Markets also allows for specialized bid management tools that help schools place bids with a vendor. With the request for proposal (RFP) process, districts are able to issue RFPs directly on Noodle Markets where sellers pay a fee to respond to them in the marketplace. Building a brand trusted by users at the same time SEO optimized across multiple verticals is an incredibly difficult endeavor in an ever changing landscape. It is difficult to create a great user experience for such a large aggregate of information. The notion of having all those insights, opening it up to the general community, and then engaging with that community to create a Wikipedia page approach with all the information you would want and need, to then figure out what’s good for whom is what will make this more effective. There’s a lot of work to be done from here to there. The decision to work with an OPM to launch a program is a well-considered and often bureaucratic process. The selling cycle is a long and the competition is well entrenched. In addition, traditional OPMs often include “poison tails” in their contracts which can make them difficult and expensive to displace. The primary challenge is marketing. We need more resources to make sure that every student who is looking for a leg up knows that Noodle Pros is the best option for them. Another challenge is recruiting. Noodle Pros can only grow as fast as its ability to find all the elite tutors in any given market. The third challenge is margins. Recruiting elite tutors also means giving the tutors the lion’s share of the tutoring revenue. All tutoring companies are spending these dollars. Most spend it on marketing and then trust the brand to bring in the students. Noodle Pros spends it on the tutors and trusts them to generate the kind of word of mouth that results in the growth that we’ve seen. To solve the margins problem we need to add services and increase scale. The current procurement process is a major impediment to innovation. The same schools are buying the same antiquated school books, (i.e.) because no one is able to communicate with each other in order to group together and buy new books at a better cost. Although everyone is unhappy with the way the system is, schools and districts are wary of change. It takes some degree to convince traditional minded people who have been doing this the same way for over a decade that a new process is available and better than what’s been used. Noodle Markets simplifies the process, which helps both the client and vendor win. There is no singular trusted source for educational advice. While on Google, you generally know what you are looking for, but in an education search, nobody knows what they are looking for, and how should they, they’ve never been to college before, they’re 17 years old asked to pick a major that can may or may not be the foundation of their career. The Princeton Review and US News & World report are trying to expand beyond rankings in the undergraduate and graduate space. But the notion of “top 10” model doesn’t resonate in a constantly evolving personalized, mobile, social & local world. Users want to know what are the best options for me, not for everyone. Bisk Education was the first of the Online Program Managers (OPMs); it partnered with a few not-for-profit universities to help them create market-ready online degree programs. Other OPMs followed, generally working with legitimate, but not particularly prestigious, not-for-profit institutions. Their programs were, with a few notable exceptions, modest successes. But they failed to live up to the hype that accompanied their launches. In 2007, I founded 2U — which was initially called 2tor — seeking to prove that great schools could develop online programs of the same quality as their classroom programs. With USC, Georgetown, UNC/Chapel Hill, and other prestigious schools, he proved the case. Many more schools, and OPMs, followed that path. There are now 45 OPMs working with hundreds of universities. How is Noodle Partners different? Our job as the general manager of a university’s online and hybrid programs is to create and manage them with flexibility and transparency. We provide the best instructional design, technology, marketing, recruiting and student services with an institution-specific approach; we leverage the university's internal strengths while providing a more turnkey approach where needed. In 2007, when I started 2U, there weren’t a lot of good tech and service providers. So we built the necessary systems. Since then, investors have poured some $15 billion into EdTech firms. Today, rather than build everything from scratch again, Noodle Partners supervises and coordinates the work of the best of these providers. This approach allows us to be much more flexible and far less expensive than traditional OPMs. Noodle Partners also provides universities with the data they need to make informed decisions about their programs. Using our proprietary NoodleBus, we integrate multiple technologies and assemble marketing, recruiting and academic data into a series of analytic reports. This is collaboration and transparency; and, provides a university with far more–and more useful–information than any traditional OPM would share. We can legitimately claim that we have the best tutors, anywhere. Every tutoring company claims to have great tutors. Most do have at least a couple on their rosters. Noodle Pros is the only tutoring company that I know that hires exclusively long-time, professional tutors who all have long track records of success. If we can attract enough of those tutors to our platform, it will be nearly impossible for any other tutoring company to match our quality, for two reasons: 1) because their tutors join us for the higher revenue share, better management, and the privilege of working with a cohort of peers, and 2) because they simply have a different business model that only works with newer, greener tutors. Of course, we have competitors who are premium-priced but run on the existing model, and we’re slowly but surely poaching all their best tutors. It is also easier and easier for tutors to run their own independent businesses. There is no way for those tutors, however, to have the tools and support network of other elite professionals that the Noodle Pros tutors have. Inertia is our biggest competitor. We need to continue to get vendors and districts on board. Marketplaces tend start slow as they build momentum, but once they do, then they can fly. This is beneficial for both the client and the vendor, but on the other hand, it’s a long road. You have to touch a lot of people at the school before you’re cleared. As for direct competitors, no one is doing what we are doing. Amazon is a marketplace that offers products to the public, but Noodle Markets has a specific demographic and specific products. We level the playing field for smaller companies to get a fair chance at promoting and reaching educators with their products and services. We also connect the right vendors with the right schools in a cost-efficient and timesaving way. Procurement managers are often paying prices for products that can be found at lower rates on Amazon, or the price is double in a neighboring district than it is for another school district. Today, educational institutions spend inordinate amounts of money on lead generation, which is largely driven by educational providers. Noodle’s model works the other way around, instead of institutions reaching out to prospective students or customers, users initiate the dialogue with providers based on Noodle’s recommendations. Noodle provides an individualized and systematic process that is the best hunt for colleges, internships, tutors, and anything learning-related. It’s an economic answer. Noodle Partners’ model is efficient, helping partner universities enjoy a $15,000 to $30,000 per-student savings over OPM-managed programs of similar quality. For a single 45-credit program ramping to 300 student starts per year, we will save you a university nearly $25 million over eight years. Our fee structure is simple. We charge $12,000 per month to support the university, plus $6,000 for each degree program we manage (we do not charge a separate program fee for stackable certificate programs leading to that degree, or for support of the on-campus version of the program). We’ve negotiated most-favored nation pricing with our providers, and will bill the university quarterly for those expenses (which we will not mark up). Finally, we charge a fee of $5-50 per credit/hour, depending on total enrollment. Our fees and those of our providers will end up totaling about 30% of tuition. Noodle Partners’ contracts are short-term (three years) and flexible. Universities choose which services you’d like us to provide (we’ll advise on the others), and for how long. This is compatible with an agile approach to online learning, in which one team handles marketing, recruiting, instructional design and student support for both online and on-campus programs. We are reorienting the industry such that longtime tutoring professionals know that they can get a better deal with us, and that their experience translates into a credential that has value, both to us, and to the market. Before us, tutors only had two options: they could work for an agency, which would give them clients, but which would keep the bulk of the revenue. Or they could go out on their own where they are one of many without the credibility of a brand or a credential behind them. It is tough to command premium rates when you are one of 5000 other tutors doing the same thing for less. In the massive but entirely unregulated industry of tutoring, Noodle Pros seeks to create a recognized credential that stands for excellence. For educators who want to make tutoring a career, Noodle Pros offers the best of both worlds, the flexibility of being an independent tutor combined with the earning power of being part of an exclusive network of professionals. We are also reorienting the market such that parents and students know that it saves them much more time and headache - and get them better results! - in the long run if they work with an experienced tutor and learn all the right test-taking habits from the get go. The current procurement process is so complex and ineffective. We created structure to a marketplace where it didn’t exist. We came up with technology and tools to help ease the process of purchasing, and made it easier to manage and respond to solicitations. We address the disconnect between the districts’ needs and wants, and the vendors’ understanding about K-12 priorities. The education procurement industry a $128 Billion-a-year market. This doesn’t even account for the money that is used on teacher’s salaries, or on school buildings; it is used on everything from food to school buses and pencils. Of that amount, $49Bn is spent without going through the formal request for proposal (RFP) process. The remaining $79Bn is purchased through a request for information, request for proposal, or other procurement process. The large purchases made by district procurement managers are a long complicated process and more often than not, inefficient, cost draining, and an impediment to innovation. There are amazing textbooks from lesser-known publishers that aren’t getting the attention they need to because a textbook giant, like McGraw Hill, is a name every district knows and therefore uses. In changing the landscape of the buying process, we are giving unknown companies a platform to offer their goods at the same-leveled playing field as the market leaders. We’ve already raised a seed round of $7M from SWaN Legend that closed in November of 2016. We are currently raising a $10MM series A round that should complete the investment capital required to maintain future prorata ownership of Noodle Company’s investments in its operating businesses through 2019. The Noodle Companies is a studio working to better connect learners, educators and providers of educational resources at all levels, from preschool to grad school. Each of its four operating companies: Noodle Education, Noodle Partners, Noodle Pros, and Noodle Markets is focused on using technology to improve educational outcomes. We have incredible technology behind all the Noodle companies and are eager to share this with the public. 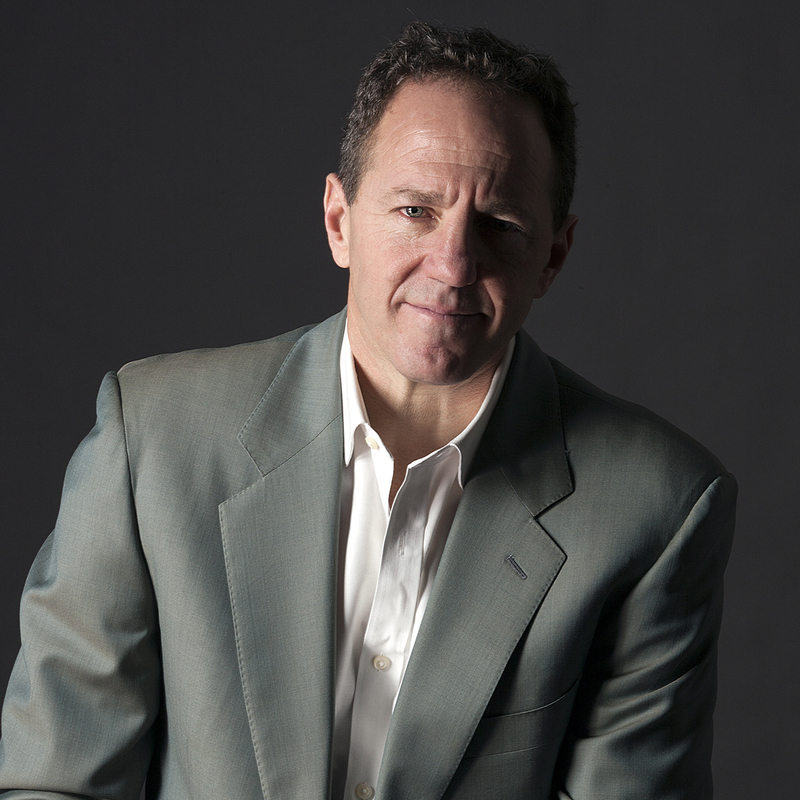 John Katzman is an education entrepreneur. He is the founder and CEO of The Noodle Companies, a studio whose operating companies connect learners, educators, and technologies. Prior to Noodle, Katzman created two education organizations that became public, with a combined market cap of $2.5 billion. He founded 2U, and served as its CEO and Chairman until 2012. 2U works with research universities to create high-quality online degree programs; partners include the USC, Georgetown, and UNC Chapel Hill. Prior to founding Noodle and 2U, Katzman founded The Princeton Review, and served as its CEO and Chairman until 2007. At that time, the Review helped over 50% of students applying to US colleges and universities each year find, get into, and pay for school. Further, it worked with hundreds of colleges and K-12 school districts to help them improve educational outcomes. Katzman serves on the Boards of Directors for several non- and for-profits, including the Woodrow Wilson Foundation, the National Alliance of Public Charter Schools, American Honors, and Renaissance Learning. He has helped launch several education technology companies, invested in many others, and authored or co-authored five books and many articles. Katzman is married to Alicia Ernst; they have a son (22) and daughter (20). His personal interests include ice hockey, running, skiing, and architecture. For more information, please reach out to John at jkatzman@noodle.com.